Click here to print the Paleo Dinner Rolls recipe! Click here to print the Paleo Italian Chicken and Roasted Brussels Sprouts with Rutabaga Pasta recipe! And just like that, Christmas is over. =( I am writing this in advance as I will be traveling during Christmas but let me tell you that I already feel the sad yearning for Christmas to return next year. It's the most wonderful, magical time of the year for sure, plus I enjoy studying the advent of Christ's birth. I'm not ready to take down my decorations which is why they usually stay up through New Year's as well as continuing to listen to Christmas music. One evening recently I buckled down to prepare a Paleo version of a dish I used to LOVE that was very non-Paleo (think goat cheese and orecchiette pasta). Well, the mock version turned into a fail because I didn't want to buy turkey sausage when I had ground chicken to use which would have been fine, but the store I went to was sold out of basil so I couldn't even make the pesto. (I wasn't willing to drive to another grocery store.) Oh well, this means I have yet another menu idea to prepare for you all in 2017. Meanwhile, what I did make with what I had on hand was delicious! The meal (Paleo and Whole 30 friendly): Italian seasoned organic ground chicken and oven roasted Brussels sprouts with rutabaga pasta and Paleo dinner rolls. Paleo Dinner Rolls: It's best to start this first so they're baking while you're cooking dinner. Mix together 3/4 cup arrowroot flour, 1/2 cup coconut flour, and 1 tsp. salt. Then add 1/2 cup water, 1/2 cup olive oil, and 1 egg. Mix this all together with a hand mixer. If the batter has too much liquid to roll the dough in your hands, then add a little more coconut flour. Roll the dough into approximately 8 balls using your hands and place them on a greased baking sheet or parchment paper lined sheet. I used a non-stick baking sheet and they baked perfectly without sticking. Bake them at 350* F for 30-35 minutes until they begin turning golden brown on the bottom. Mine didn't need the full 35 minutes so make sure to keep an eye on them. I also added dried rosemary to the top of half them which I ended up loving! *I changed my recipe a little bit from this site's recipe here. You can print my version at the top of this page. Paleo Italian Chicken and Roasted Brussels Sprouts: Start by washing the Brussels sprouts and cutting off the ends of them. Cut them in half and place them on a greased, foil lined baking sheet and put them in the oven with the dinner rolls. They will be roasted at 350* F for 20-25 minutes or until charred to your preference. Next heat up a non-stick skillet on medium heat and add in 1 tbsp olive oil. Peel and dice 1/2 onion and add it to the skillet. Then add in your 4 to 8 oz of organic ground chicken (or turkey). Allow this to cook thoroughly and stir occasionally. I added a dash of pink Himaylan salt while it was cooking. In a separate bowl I added 2 tbsp olive oil with 1 tbsp Italian seasoning and 1/2 tbsp dried oregano with a dash of pink Himalayan salt. When the Brussels sprouts are done roasting and the chicken is thoroughly cooked, I combined them with this olive oil mixture and stirred it together. This will be added to your "pasta" below. Rinse and peel the rutabaga, and cut off the ends of it to create a flat surface. 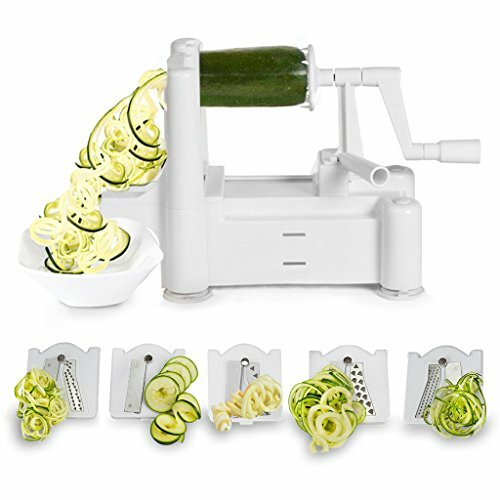 Place the rutabaga into the Spiralizer. 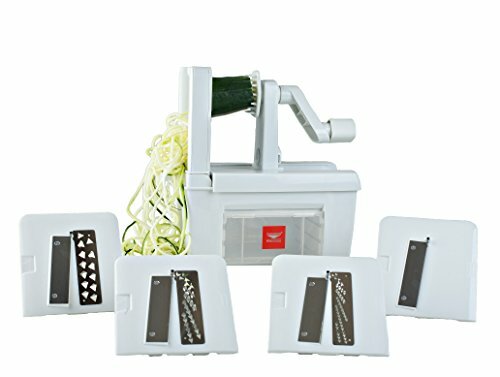 Using blade B (if you have the Paderno Tri-blade Spiralizer), turn the lever to make the "pasta". When this is done, place the "noodles" into a non-stick sauté pan with 1 tbsp. 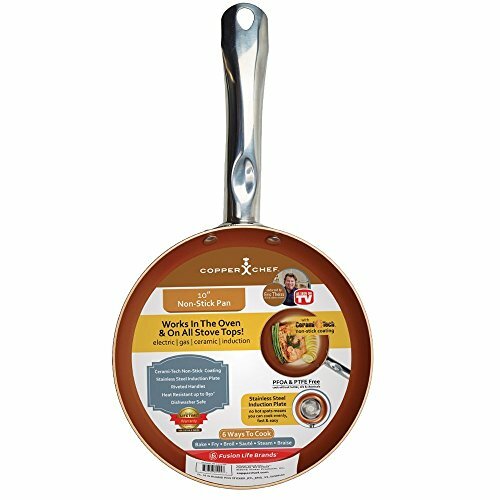 olive oil or no oil if using the Copper Chef pan. Cook the "noodles" stirring occasionally to ensure they're heated and softened a little before serving. If you want to add Italian season to the "noodles" directly for more flavor you can. When everything is cooked thoroughly, serve the Paleo Italian ground chicken and Brussels sprouts mixture over the rutabaga pasta with your Paleo dinner rolls for a hearty and tasty dinner! I hope you enjoyed this dinner (or lunch) idea! If so please share with your family and friends and make sure you're subscribed to my blog below so you don't miss out on any future posts! You can view previous recipes I've shared here. For shopping fun - because if you do not have these yet you NEED them!